< Prev Post Why Did ELITE FORCE Boldly Go Where No STAR TREK Game Had Gone Before? 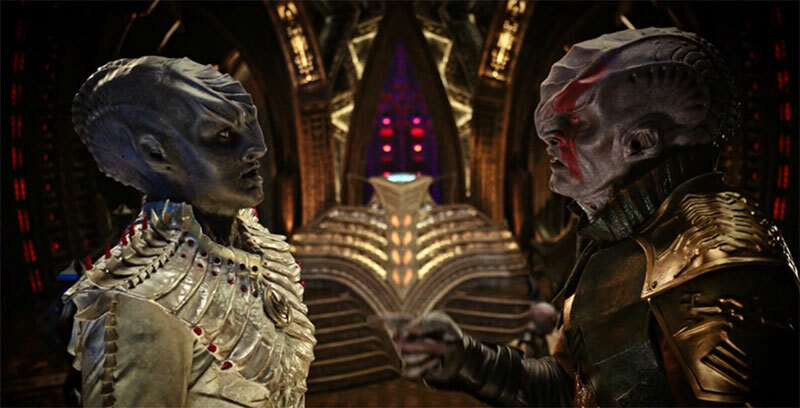 After a stand-alone episode last week, Star Trek: Discovery returns to its main arc with “Si Vis Pacem, Para Bellum” (If You Want Peace, Prepare for War). This episode also marks the first on-screen writing credit for longtime Trek novelist Kristen Beyer. 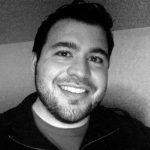 Beyer took over the Voyager re-launch series from Christie Golden in 2009 and was recruited by Byran Fuller to join the Discovery writing staff prior to his departure. So how does she, and the Discovery crew fair in this outing? After writing Star Trek for the better part of a decade, Beyer clearly knows her stuff. 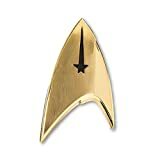 “Si Vis Pacem, Para Bellum” at times feels more like Star Trek than any prior Discovery episode. This episode, the first of a two-parter, has a lot to set up and having that strong Trek backbone to fall back on, which helps it tremendously. Another huge strength of this episode is Doug Jones. Aside from “Choose Your Pain,” Saru has been left if the background, but Beyer uses him excellently here. Jones, deftly plays the personality switch and serves as an excellent foil for Burnham. 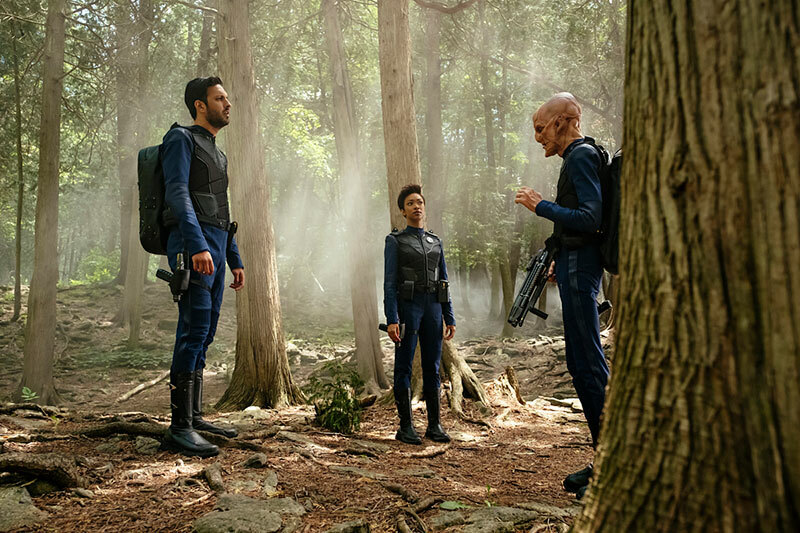 One interesting note, unlike Spock’s personality change in “This Side of Paradise,” Saru’s change is more akin to what Sybok does in The Final Frontier, with a weight being lifted off his character. Obviously, it’s handled much better here. 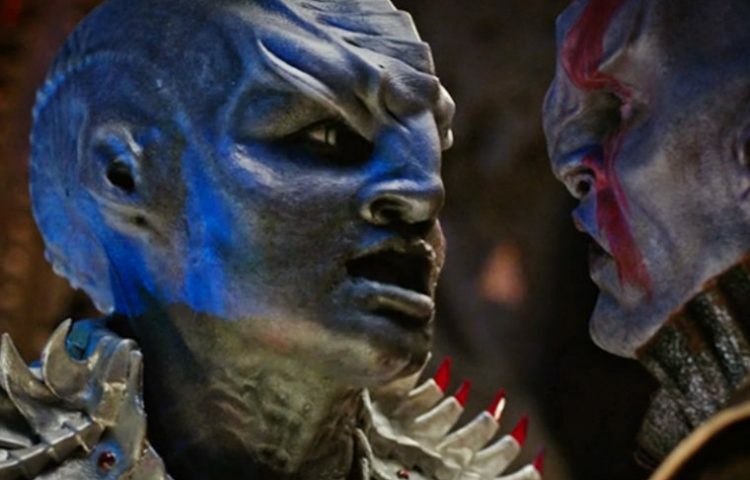 One of the big advantages Discovery has over past Star Trek shows is the access to modern special effects and a significant budget, both of which are put to great use with the creation of the new species. Having a gas/particle creature is something that could only be possible now and it works brilliantly. It adds uniqueness to the episode while still embracing Trek tenants. That part of the episode revolves around Burnham, Saru and Tyler using a structure on the planet to act as a sonar-type device to help them detect cloaked Klingon vessels. Its an interesting idea, but I feel like it can’t work in order for continuity to line up. After a fantastic opening battle scene, we get into the other story-line for this episode, which sees the return of Admiral Cornwell. Kol has L’Rell interrogate the admiral, but L’Rell instead proclaims her desire to defect. Cornwell is obviously intrigued by the notion and goes along with the plan until the two are caught trying to escape. That’s where things get confusing. I feel like they were trying to pull a double-cross with L’Rell, but it doesn’t come across well. They’re fight scene is great, but the emotional beats are muddled. Cornwell is presumed dead, but I’ll bet is part of L’Rell’s plan. Overall a solid episode, if a little hamstrung with having to setup next week’s episode. Side Note: This episode was originally intended to be the mid-season finally, but CBS decided several weeks ago to make the finally next week. 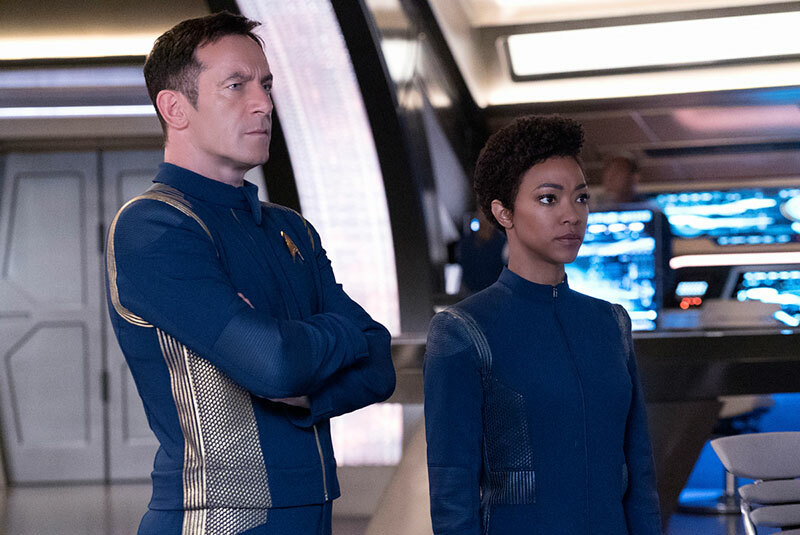 POLL: What did you think of Sunday’s episode of #StarTrekDiscovery?